Send your good wishes in a way both thoughtful and delicious way by ordering this Slightly Candied 1 Kg Fresh Fruit Cake for your loved ones. 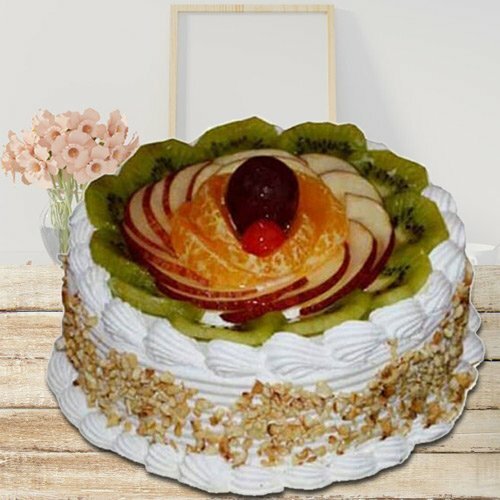 This is a unique Seasons Best 1/2 Kg Fresh Fruit Cake decorated with seasonal fresh fruits on top. Gift this cake to celebrate any occasion. Let your loved ones have sheer delight on their special event with this Delicious 1 Kg Eggless Fresh Fruit Cake.